Cuero y Salado Wildlife Refuge is located about 15 miles from La Ceiba on the Caribbean coast. The area forms a triangle encompassed by the Cuero and Salado rivers and the sea coast, comprises a little over 82 square miles, and was designated a protected area in 1986 because of its endangered manatee population, as well as the complex series of saltwater and freshwater wetlands it contains. 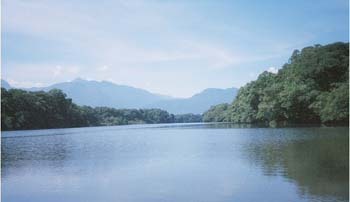 Fifteen river basins, originating in the Nombre de Dios mountain range directly influence the refuge. 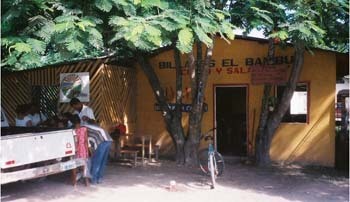 Presently the park is managed by a non governmental organization, Fundacion Cuero y Salado, or "FUCSA". 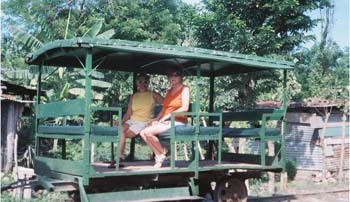 Scientists and conscientious citizens of La Ceiba were instrumental in the formation of the park, in response to the critical environmental problem of loss of forest to agriculture and livestock. The park protects about 35 species of animals, including manatees, jaguar, jabirus, whiteface and other species of monkeys, as well as alligators and a great diversity of fish species. The area is also rich in bird life, almost 200 different species (about 28% of the total bird species found in Honduras). There is also a rich variety of vegetation supporting the animal life, including primary forests, lush mangroves, and different types of palm. 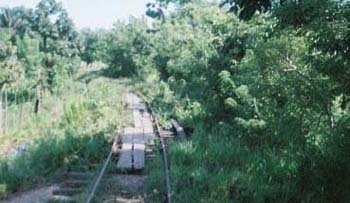 Below are pictures of Cuero y Salado taken in July, 2005. 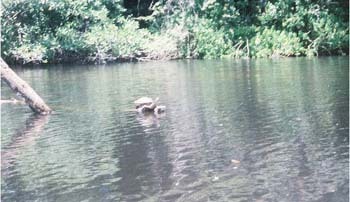 Among the wildlife we saw, there were monkeys, turtles, and many exotic tropical birds. Unfortunately, our camera was not up to the task of getting good photos of them. 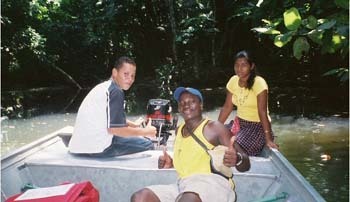 Our tour of Cuero y Salado Wildlife Refuge was arranged by Jungle River Lodge & Tours in La Ceiba.